Cadaver labs are a rare find in Kansas. 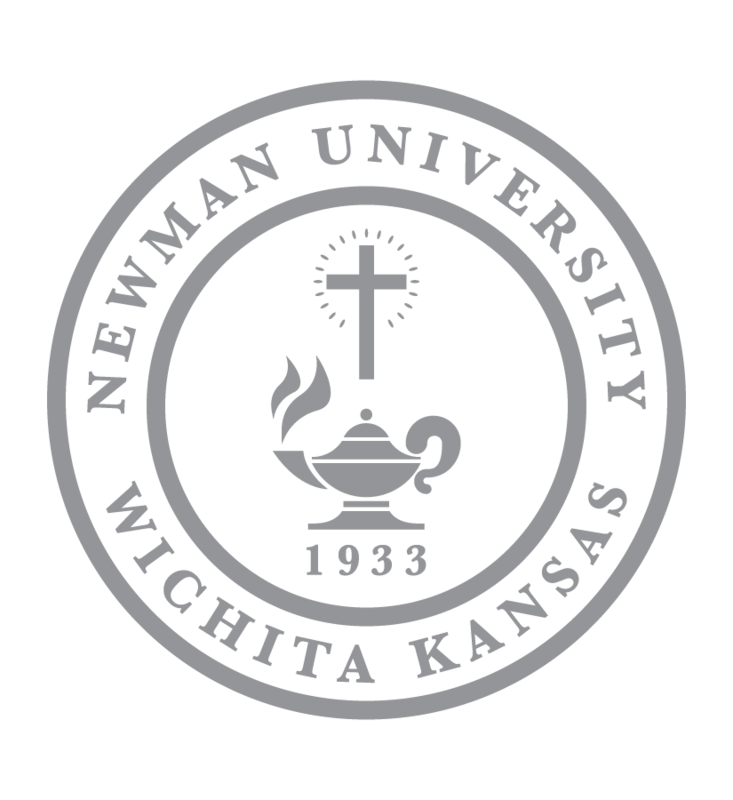 Newman University boasts one of only two in Wichita and one of the only cadaver labs in Kansas’ private schools. 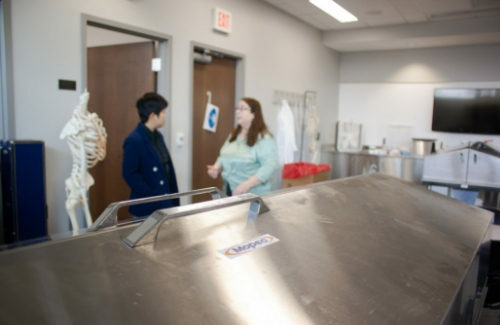 The Bishop Gerber Science Center (BGSC) is full of incredible equipment and large labs, but many don’t know that a state-of-the-art cadaver lab lies in the southeast corner of the new building. The cadavers, embalmed human bodies used for educational purposes, are a beneficial tool for students when learning anatomy. 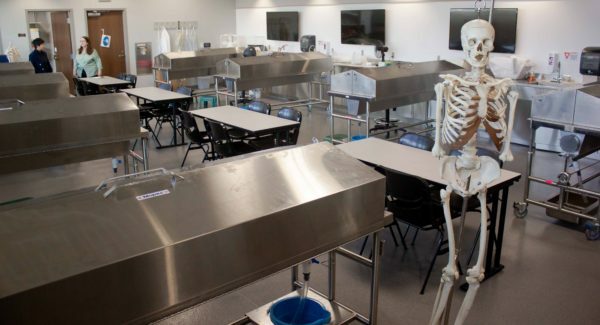 Though technology is advancing, Associate Professor of Biology Susan Orsbon said it will never be able to replicate the experience of hands-on, real-life learning with cadavers, which is why the lab at Newman is so important. Susan Orsbon, associate professor of biology, speaks with student Kristin Lau in the lab. Cadaver labs are expensive to maintain but properly training future medical professionals seems more important in her eyes, she said. By using cadavers, students experience the variation they will find in their own patients. Students in the nurse anesthesia program frequent the lab to learn anatomy and gain real-life experience with the human body. 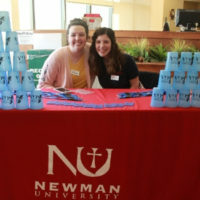 The labs use, however, is not limited to Newman students. Many University of Kansas School of Medicine – Wichita students use the lab for their studies. The lab also has a lot of visitors with around 500-600 middle school students taking tours each semester. Alumna Lisa Garcia, who now manages the Wichita State University (WSU) Cadaver Lab, fell in love with anatomy during her cadaver lab experience as a freshman at Newman. Her original plan was to go into physical therapy but her experience with cadavers at Newman changed her path. 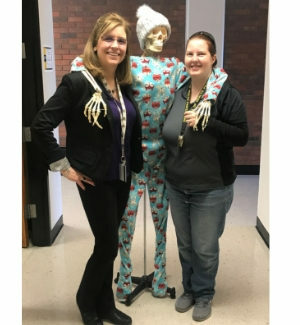 WSU Professor Elizabeth Tew, “Bucky” the skeleton, and alumna Lisa Garcia. Garcia graduated from Newman in 2008 with a degree in biology. At that time, she began working at WSU as a teaching assistant in the cadaver lab and knew that she wanted to continue teaching anatomy in the health care field. She went on to graduate from Creighton University in 2010 with a Master of Science in clinical anatomy and now has a full schedule of courses to teach during the week at WSU. For Garcia, finding a job wasn’t difficult. In fact, there’s a huge need for teachers of her kind. She, like Orsbon, is in high demand. “I have a huge concern with so few individuals going into academics,” said Garcia. “Many schools have run into the problems now that there is no one to run their labs, and the cadaver labs are becoming increasingly more expensive to maintain. To even get access to cadaveric tissue can be a challenge if there are not many donors. To meet this need, many companies have jumped on board to provide technological assistances. In order to teach anatomy courses like Orsbon does, an individual has to be specialized in teaching gross anatomy, which few schools in the U.S. even offer. 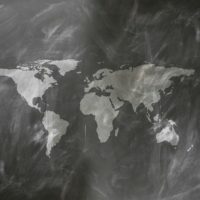 Along with the decline in teachers, Orsbon has seen many other changes in the field thanks to technology as well as many changes in her classroom specifically. 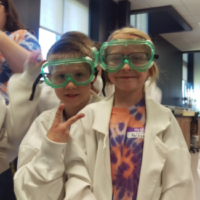 She is especially thankful for the upgrade from the old Heimerman science building to the new lab in BGSC. The cadaver lab in Heimerman was located in the center of the circular building and was outdated. Orsbon said her classes were often blamed for unpleasant smells in the building and a few scares while moving the bodies through the building, onto the public elevator and into the lab. 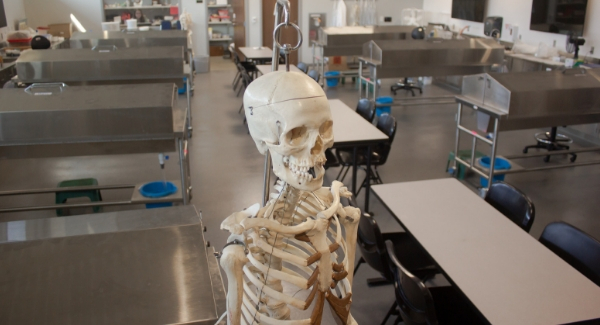 The cadaver lab at Newman University is located in the southeast corner of the Bishop Gerber Science Center. In BGSC, the lab is located in the southeast corner of the building with a somewhat private entrance and proper ventilation. “It’s much safer for the people who are bringing cadavers in. It’s also more convenient and discreet,” said Orsbon. Newman has a contract with a mortuary service to receive cadavers through the KU Medical Center Willed Body Program and typically has eight at a time. One is used by the Newman students and the nurse anesthesia program and the other seven are used by KU medical students. The new lab is helping revolutionize the way Orsbon teaches. The new floors are easy to clean and a much bigger deal than one would assume, Orsbon assures. “We have tanks that we keep the cadavers in that open up pretty easily and also serve as tables for dissection. They each have their own individual ventilation system so it greatly reduces the odor. First of all, any odor is just the preservatives, but it’s pretty strong,” she said. Orsbon added in comparison to the old wooden tables and body bags in Heimerman, the tanks are a major upgrade and save huge amounts of time when it comes to setup and cleanup. The technology in the room has also been a helpful teaching tool for Orsbon. Each tank has a monitor on the wall above it, in addition to the instructors monitor, which is used to cast textbooks or search the internet for specific instructions or techniques. The lab plays an important role in the education of future medical professionals and is often times forgotten by those who don’t use it.